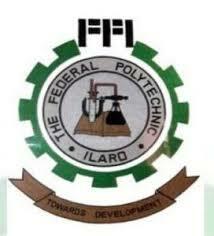 The Federal Polytechnic, Ilaro National Diploma Part-Time Programmes Admission Form, Courses, Entry Requirements, Application Guidelines, Entrance Examination Date, Time and Venue for the 2018/2019 Academic Session. Departments: Computer Science and Science Laboratory Technology. Departments: Accountancy, Banking and Finance, Business Administration & Management, Insurance, Marketing and Public Administration. Departments: Computer Engineering, Electrical/Electronics Engineering and Mechanical Engineering. (i)Minimum of five credits obtained in relevant subjects at not more than two sittings. (i) 2 copies of printouts of the acknowledgement and examination slips. * The Invoice contains the RRR to be processed. * The institution shall not be liable for complications that may arise when RRR is generated and payment is processed without going through her Portal. NB: ALL CANDIDATES ARE EXPECTED TO SUPPLY PERSONAL PHONE NUMBERS AND EMAILS ON THEIR FORMS. HOWEVER NOTIFICATION OF ADMISSION INSTITUTION’S WEBSITE. SHALL BE VIA THE INSTITUTION WEBSITE. Entrance examination dates for ND (Part-Time) Programmes will be announced later on the institution’s website. Venue for all entrance examinations is the Polytechnic ICT Unit, West Campus. Time: 10.00 a.m. each day. N.B. ALL ENTRANCE EXAMINATIONS ARE COMPUTER BASED.